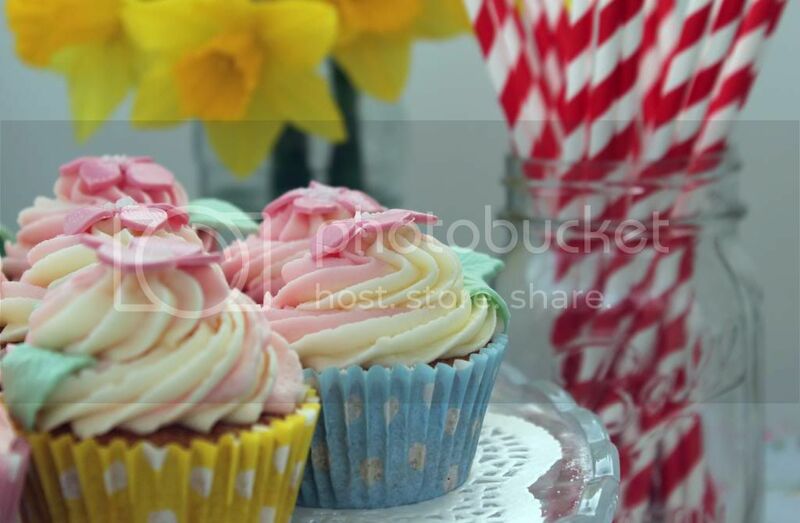 Last week, I contacted the lovely Jane at Tea Time to ask her if she could make me some cupcakes for my birthday. Although a little last minute (I left everything until last minute unfortunately) she happily agreed! If you live in the area, I highly recommend you take a look at her cakes - her sugar flowers are works of art. As you can see, they were adorable, and absolutely delicious. Saturday was spent celebrating my birthday, as I went for a meal to my favourite restaurant, Dylan's. As today is my birthday, I have no idea what to do. I think I'll spend my afternoon at a local tea room and take a long and refreshing walk. I have a week off work, and me and my boyfriend are planning on a very exciting trip. We haven't managed to book it yet due to my pathetic internet connection - I'm quite surprised I've managed to type up this post! But all will be revealed very soon I hope.... I'm excited! Happy Birthday! Those cakes look delicious. Hope you have a lovely day! Happy Birthday. These cakes look amazing! Oooh are you going to those little huts?! :D Hope you have fun!